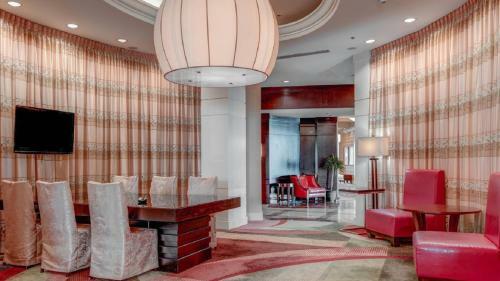 Offering indoor swimming and free Wi-Fi in a location right next to the convention center and close to downtown the non-smoking Macon Marriott City Center gets positive attention. 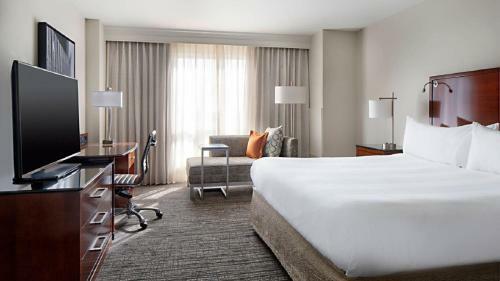 The eight-floor Marriott is home to 220 non-smoking rooms that offer flat-panel TVs iPod docking stations video games work desks and free Wi-Fi. 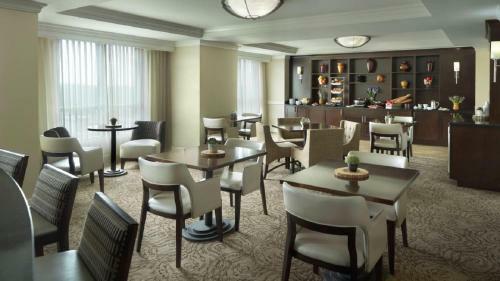 The elegant up-to-date restaurant specializes in Southern cuisine and serves three meals a day and a Starbucks is available in the lobby for all your caffeine needs. 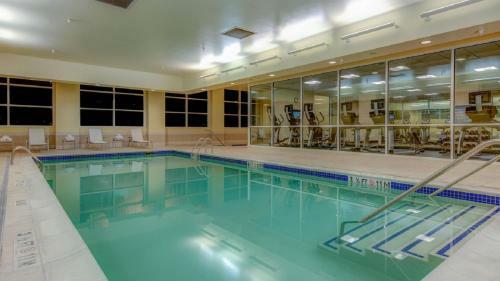 A business center is on hand and when you're off the clock you can make use of the cardio equipment in the fitness room the indoor pool and nearby biking and walking trails. 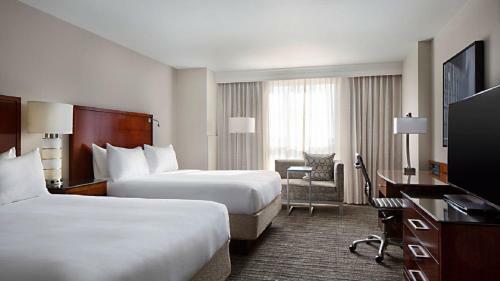 The hotel is connected to the Macon Centreplex arena and convention center and it's a third of a mile from the historic district and Macon restaurants and nightlife across the river. The Grand Opera House and the Georgia Music Hall of Fame are both about a mile away. Middle Georgia Regional Airport is 12 miles away and Hartsfield-Jackson Atlanta International Airport is 81 miles away. 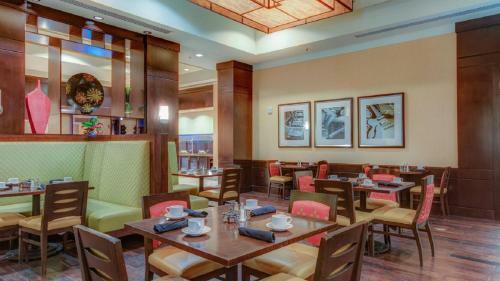 Add Macon Marriott City Center to your free online travel itinerary.